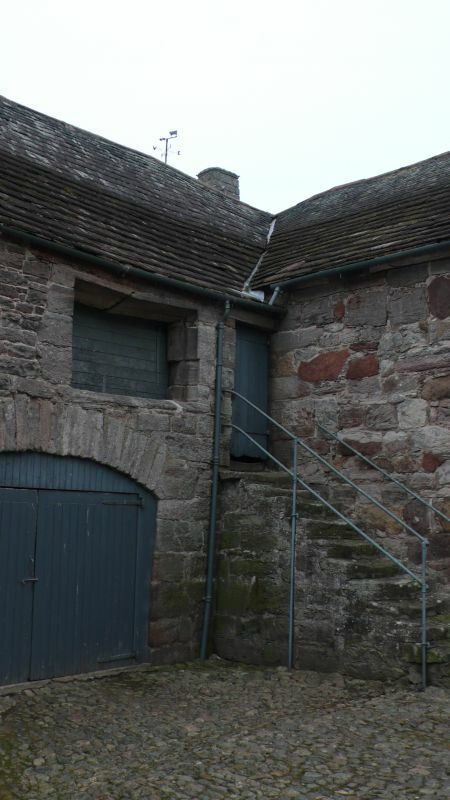 wall of barn facing courtyard, has 2 C15 doorways and loop with iron grille. window inserted. Central opening and large left opening with iron grilles.